Hurray, the long-awaiting parcel is finally here! A Topshop-inspired Geometric Contrast Dress from whitesoot! I have got a lot of compliments of me wearing this piece of dress. It fits just nice on me! I have matched this piece of dress with my pair of beige heels! 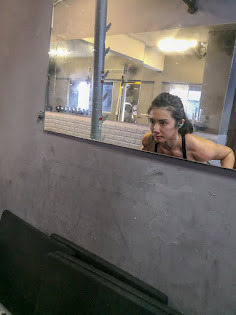 I love how it wrapped my body, I love how it emphasizes my body shape. a bad piece of dress will not only ruins your body shape but also makes you look really horrible. Take a closer look of me with this piece of dress. It is a well-made product which really satisfied me! Where can you get this piece of dress? Here! Whitesoot is the place! It is an online boutique which emphasizes on quality and efficiency! They will respond to your order and enquiries within 24hours! After you have made any order, they will even post it out the next working day! In terms of quality, they really done it well as their clothes are really in good quality. You might be worrying about the prices, right? Don't worry, the prices are affordable too! It is the solution to a sudden "lack of dresses" disease! 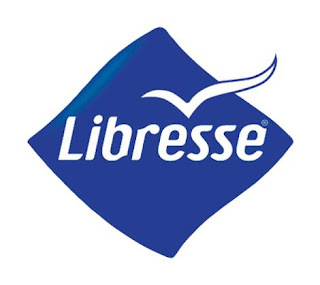 Have you heard of Libresse? If you haven't, do like Libresse Malaysia Facebook Page by clicking HEREEEEE!!! I remember my brother asked us girls a question out of curiosity. "Why do girls have to use so many sanitary pads? The amount that we used is almost equal to the amount of facial tissues that we used!!" For guys, maybe they do not understand why and how. But for girls, we understand it clearly and thoroughly that we have to use a good quality and good absorbent sanitary pads in order to keep us active, clean and comfortable. 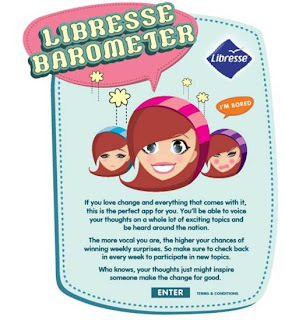 Libresse is designed to fit a woman's anatomy perfectly for the ultimate comfort and absorption. Its pad is designed with wider front and narrower middle, and it folds neatly in the back. It also has Deep Flow Channel which drives liquid quickly inside. Recently, Libresse have introduced this new Facebook application which is being named as Libresse Barometer! You must be curious about this application, isn't it? Can you see the new application? Right below the cover photo? 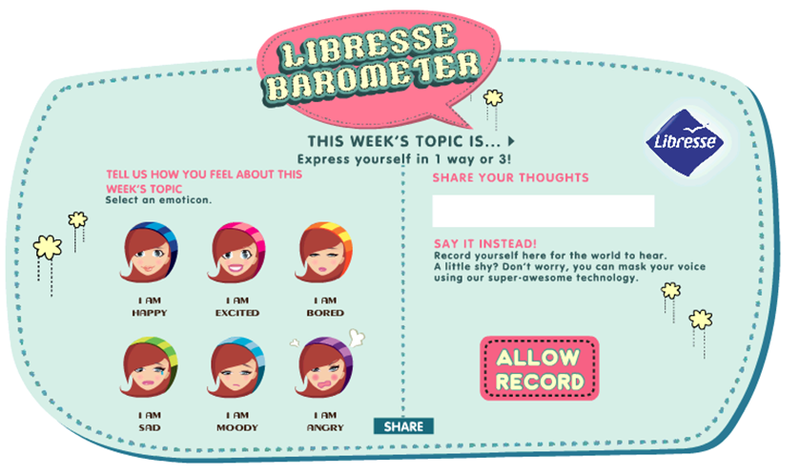 This cute banner requires you to click ENTER in order to get to the BAROMETER! As usual, Facebook will requires you to allow the application to run or to post on your wall! 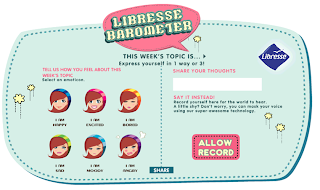 This application actually allows you to share your thoughts, your feelings about the weekly topic which is with 3 different questions. The 3 questions will be posted every Monday, Wednesday & Friday. Besides that, you also have an emoticon to represent your mood/feeling towards the question. 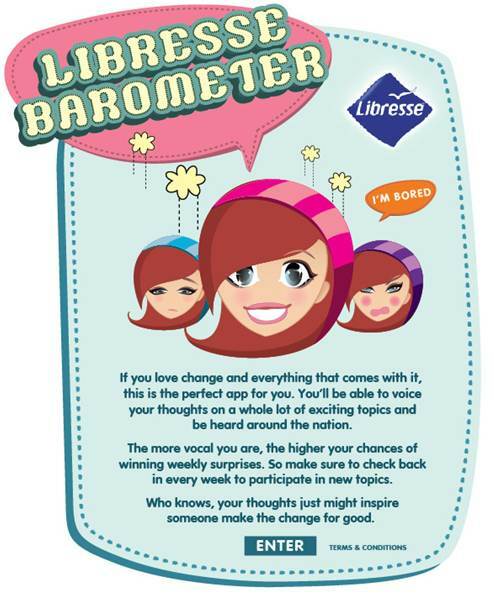 THREE Users will be the selected to receive little surprises from Libresse Malaysia weekly! 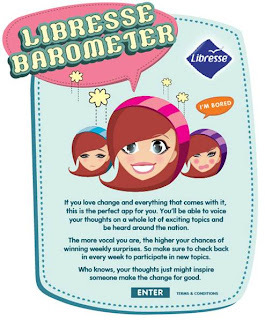 How do Libresse Malaysia select the 3 chosen ones?